Operating a successful property development company requires teamwork, open lines of communication and always striving to deliver the best possible outcome for our clients. Ken’s background was in the Financial Sector for over 15 years, working with both UK and US institutes. As well as Banking and Investment experience he was also involved in the design and roll out of Finance structures within Multi National Companies, as well as a trouble shooting role within a UK branch network. Ken first got involved in property over 25 years ago, building a large UK and overseas portfolio, as well as an established renovation and development track record. He also successfully invested and assisted, in a “Dragons Den” style, in many new start or under achieving companies within the UK. With an established network of Finance Industry contacts, Ken is always looking to develop innovative and commercially variable funding facilities for Panacea, to ensure the success and profitability of each new development. As the Father of two very active young boys, he does his best to keep fit, completing several 10km’s and two half marathon runs in the last couple of years. With a background in brand building, Paul has always been involved in design and development since his early days of creating bars and restaurants. 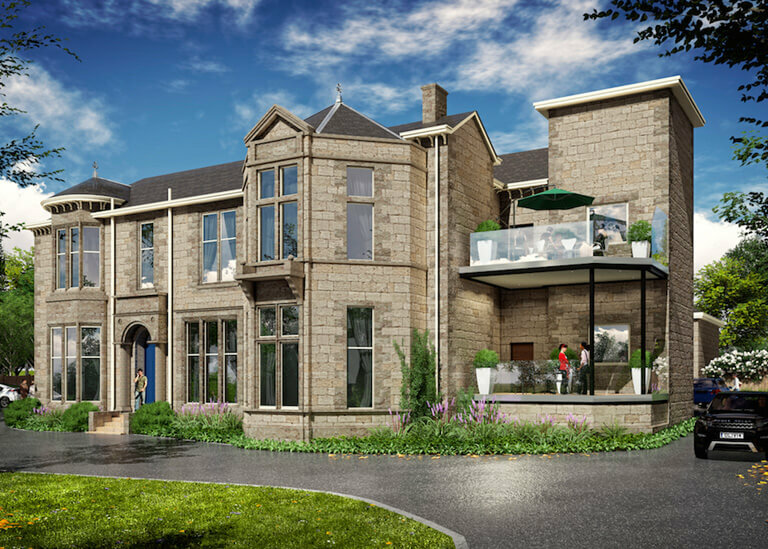 Having built up his own property portfolio and with many refurbishment projects under his belt, full time property development was always the ultimate goal. Now having bought and sold hundreds of properties and successfully developed many multi site projects, Paul focuses on driving the projects to completion and onto the market. With a keen eye for good investments and strong contacts within the professional sectors Paul has a hands on approach that ensure a smooth process. A young family provides plenty of entertainment for Paul who still enjoys his getting together with his friends from the industry for a spot of music production / djing, albeit on a much more sedate level these days! Bruce’s background is in delivery of development in the private and affordable residential, retail and commercial sectors across Scotland with a variety of clients and end users. Bruce is a Chartered Development Surveyor and has completed spells over the last 25 years with Shoprite, Safeway, Miller Group, Muse and CCG. 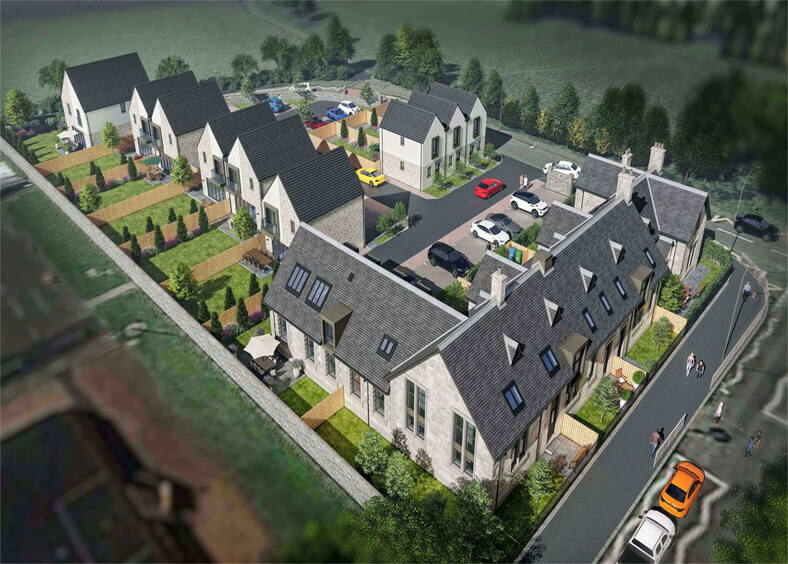 Bruce has been closely involved in a wide range of projects which have included mixed-use regeneration schemes in Craigmillar, Edinburgh; Constitution Street, Aberdeen; Cherryhill, Larkhall; Bearsden and Bishopbriggs, Glasgow; and the saving of Anchor Mill, Paisley – a Grade A listed property – in partnership with a variety of agencies including the Prince of Wales Regeneration Trust. When not doing ‘the day job’, Bruce enjoys family time and being the drummer for some real musicians. Ken has accumulated a wealth of knowledge having operated within the construction industry for over 35 years latterly as a Partner within Arcadis, Christal Developments & Christal Management. His core skills include Construction/Project Management, Design Management & Construction Health & Safety Management. He is experienced across all sectors having worked for numerous clients on varied and diverse projects throughout the UK. Utilising a pro-active approach his objective is to manage and mitigate project risks both in design and construction to ensure all obligations are achieved in a strategic manner fulfilling the Company’s statutory obligations achieving a compliant and successful project delivery. In his leisure time Ken continues in his ongoing quest for a lower golf handicap. Ross has an extensive background in property and with over a decade’s experience in property investing is ideally placed to co-ordinate with designers, contractors and suppliers to help projects run as smoothly as possible. Looking for the next project is also a firm focus of Ross’s attention and keeping a keen eye on the market helps PANACEA property move forwards with further developments. Outside of property Ross’s enjoys time with his two canine companions, sports and is also a massive music lover. Andy has over 14 years experience in the construction industry across a myriad of projects varying in size and complexity from small refurbishment and demolition contracts up to £1b cost and risk due diligence for property portfolio acquisitions. Having lead the Glasgow Buildings team within Arcadis, Andy has a proven track record of successfully delivering projects and exceeding his Client’s expectations. Combining cost, programme and contractual know-how with a keen eye for detail, Andy delivers robust cost and project management from early appraisal through to acquisitions, construction and beyond. Sandra came into our business highly recommended by other industry professionals due to her vast experience and network of contacts. Sandra oversees all our sales for our existing and new projects going forward. She brings a wealth of knowledge and experience having worked very successfully either directly or indirectly as a sales agent with most of the main developers across central Scotland. Previous titles within Estate Agency businesses heading up the New Homes Teams include: Regional Sales Manager for Scotland Land and New Homes, Allen and Harris, Sales Director for Scotland Land and New Homes, Slater Hogg and Howison, and Regional Sales Manager for the North of England and Scotland, Countrywide group. Previous developers Sandra also worked directly with on a senior management level include Bryant Homes, Westpoint Homes, Miller Homes, CCG Group to name but a few. Sandra is a bubbly character, who lives life to the fullest, is a nature enthusiast and loves travelling. Ed has over 25 years of experience in the construction industry, Ed is a full member of the Federation of Master Builders, both as a joiner and construction manager. In this time, he has run countless projects in Australia and Scotland. Many of these high-end bespoke residential projects won prestigious National construction awards in Australia. Ed has always had a passion for quality, and prides himself on his hands on approach to work, which always ensures that projects are completed to a high standard. Ed has three daughters who keep him busy, and he loves the outdoors, camping, working on cars, and playing golf. Victoria has worked with large house builders in the past gaining experience and a vast knowledge of the construction industry. Victoria enjoys building a relationship with the clients to build their luxury home. We are always engaged with various professional bodies and welcome opportunities to further new business relationships. Key partners are listed below. 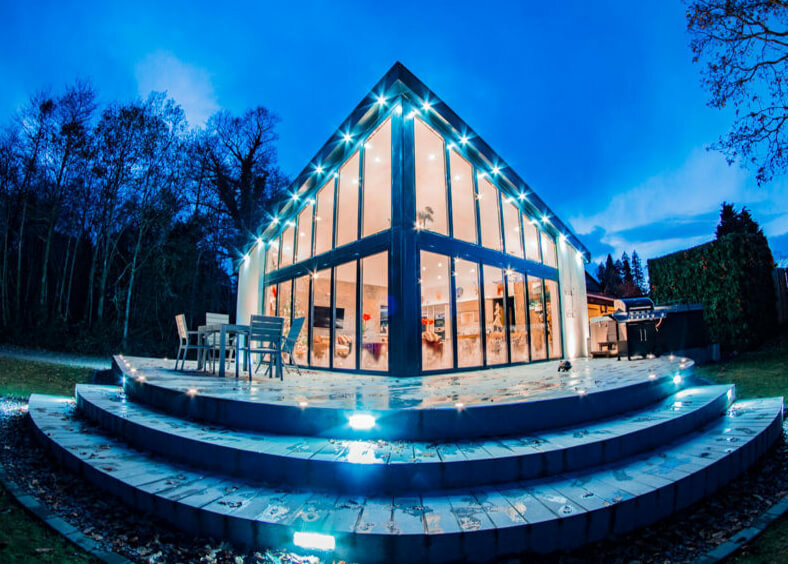 With over 40 years experience working in the private and public sectors, G.D. Lodge Architects LLP have successfully led the design team on a number of highly successful projects throughout the UK. Boasting some of the country’s most talented design architects. They combine creative and innovative thinking with commercial awareness to consistently deliver the “wow” factor on a number of high profile projects. Butler Consulting are a consultancy design practice specialising in building services engineering design, low carbon and sustainability consultancy in the built environment. After many years working in the industry for international multi discipline consulting engineering firms Butler Consulting was established in 2013. With a goal to address the need in the built environment for building services engineers who are focused on delivering high levels of service, are proactive, are good communicators and understand the key drivers behind each specific project that they are engaged on. Individually and collectively Butler have gained a reputation for reliability, good technical knowledge and an ability to communicate effectively with clients and design team colleagues. Butler’s focus is on providing project key stakeholders with a high quality personal service from project conception through to successful completion and beyond into post-handover support. 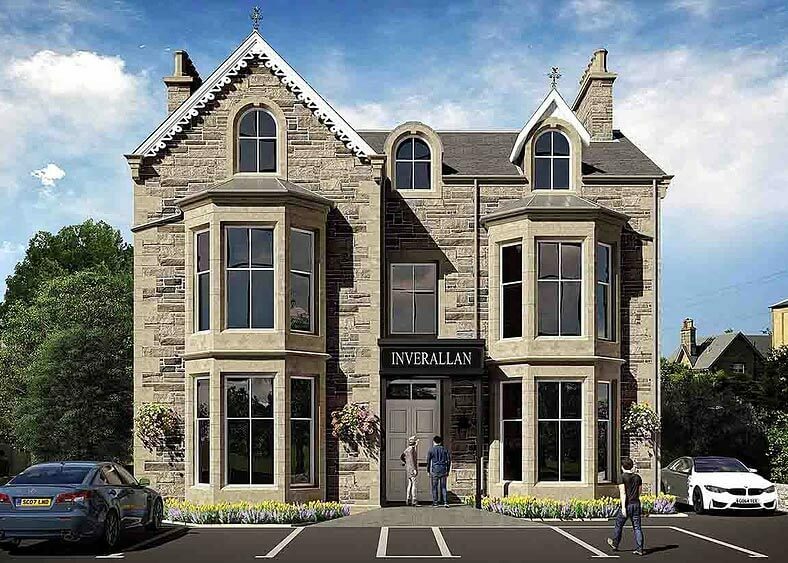 They boast a highly skilled team of engineers and specialist consultants with vast industry experience who are proud to be involved in the successful delivery of projects in a range of property sectors. PORCELANOSA Group is one of the most important ceramics manufacturers in the world, offering furniture, kitchen and bath items, with over 970 stores in 150 countries. Production diversification has played a key role in the growth of a business group that started off with the production of a single product: ceramic tiles. Today, the Group’s eight companies offer a wide product range that includes kitchen and bathroom equipment as well as state-of-the-art building solutions for contemporary architecture. With 46 partners and over 220 other personnel, BTO has enjoyed steady growth over the last twenty years across all sectors. Its head office is based in Glasgow and its Edinburgh office has tripled in headcount in the last decade. The firm provide the full range of legal services for businesses and individuals. The types of work undertaken include: corporate law, commercial and residential property, commercial and insurance-related litigation. Niche expertise includes: banking, charities, construction and engineering, data protection, disease claims, education, employment, family law, health and safety (regulatory and criminal defence), healthcare, insolvency, IT and IP, renewable energy, rural business and online reputation protection. 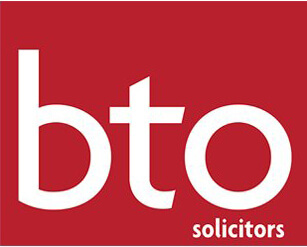 BTO’s clients range from major insurers to housebuilders, property investors, manufacturers, well known retailers, financial institutions and public sector organisations. The firm is committed to helping its clients to reach their goals by collaborating with them and looking beyond the law. BTO’s overarching organising principle is “Transparency” and it is transparent in its advice, business practices and relationships.